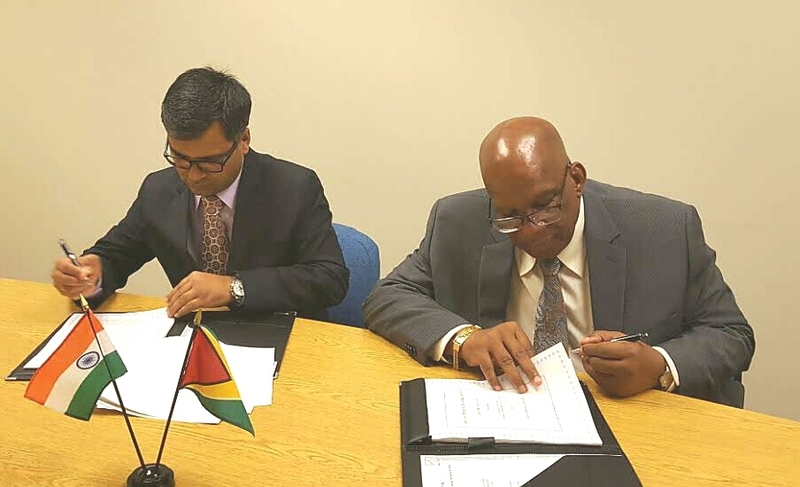 MOU signed between Government of Guyana and Fedders Lloyd to build and equip Specialty Hospital. Minister of Finance, Honourable Winston Jordan today signed a Memorandum of Understanding (MOU) with Fedders Lloyd that will see works restarting on the construction of the Specialty Hospital. Fedders Lloyd in entering this MOU with the Government of Guyana (GOG) will review the works already started; conclude a design of the Hospital that is acceptable to the GOG; and commit to fully equip the facility on completion of its construction. Fedders Lloyd also undertakes to commence work on the facility immediately following the signing of the MOU. Work on the Specialty Hospital was halted after allegations of impropriety and fraud were leveled against the contractor who won the bid for its construction in 2012. The then government terminated the contract and proceeded to Court to seek remedies. The Court ruled in favour of Government and the construction of the facility came to a standstill. The future of the Line of Credit (LOC) was threatened. Following the APNU+AFC government’s accession to office, it reviewed the project and concluded that since there was no existing contract that could be enforced, it was impractical to continue to keep the LOC in its existing form, especially since it was attracting commitment fees. Government therefore requested EXIM Bank of India to cancel the LOC for the Specialty Hospital and to reallocate the balance of funds to a project to modernize three Primary Healthcare Facilities. 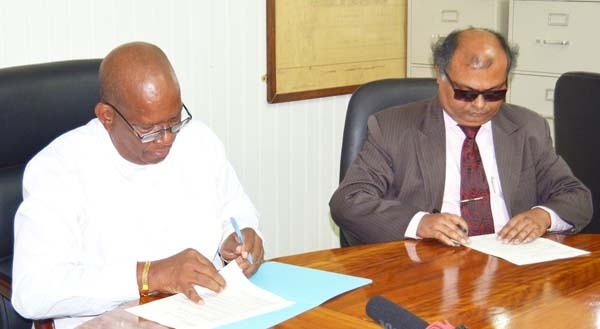 However, the Government of India (GOI) in its response, while indicating its no objection and support for the modernization of Primary Healthcare Facilities suggested that GOG should consider salvaging the Specialty Hospital, as it will complement primary healthcare facilities in Guyana. GOG having examined the merits of the proposal began searching for a willing partner to complete the Specialty Hospital using the remainder of the LOC. 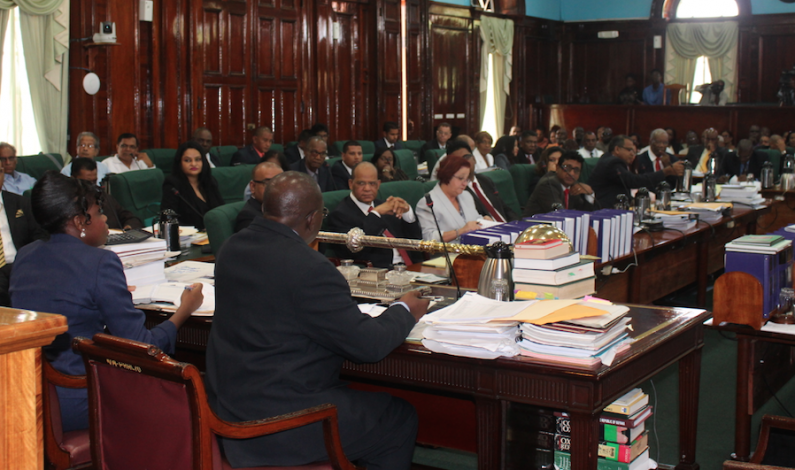 In the interest of time, Government approached Fedders Lloyd – one of the original bidders –to explore the possibility of them completing the project. Fedders Lloyd expressed continued interest and was prepared to complete and fully equip the facility. He also restated the Government of India’s approval of an additional LOC for the upgrade and modernizing of Suddie and Bartica hospitals and the West Demerara Regional Hospital. Signing on behalf of Fedders Lloyd was Mr. Ajay Jha. He thanked the GOG for the opportunity to work on the project, but more especially, to work for Guyana. The Specialty Hospital is intended to cater for high risk surgeries and other health care demands.